- Enter the "Email Address" and password. - Choose the type of email account you will be using. IMAP: This option simply shows you a cached copy of your email on the moblie device while storing the original email on the server. Note: Using SSL (Accept all certificates) will be more compatible. 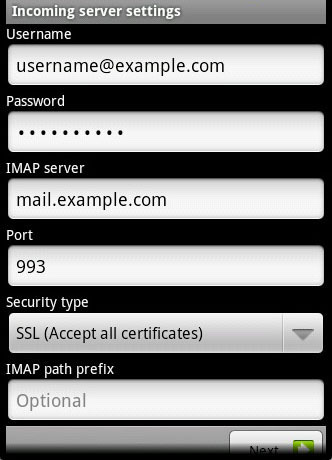 - IMAP path prefix: Please enter INBOX. This will allow for you to store your Sent, Drafts and Deleted emails on the server. 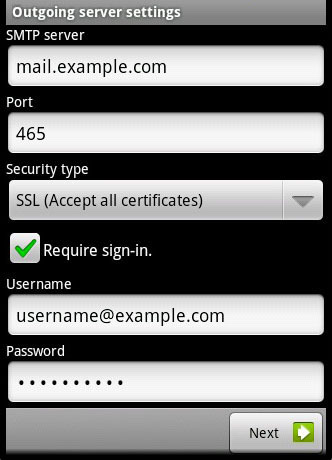 -Require sign-in Check this as you will need to authenticate with the SMTP server. -Password: The password for your email address. -Email Checking Frequency: Set how often you would like your device to check for new emails. 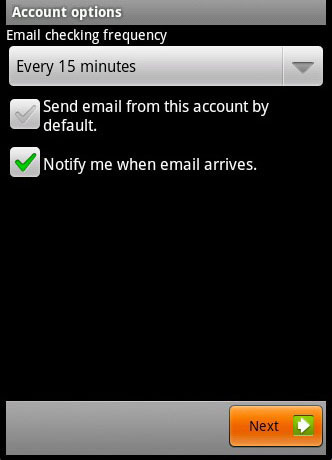 -Notify me when email arrives: Leave this checked if you would like to be notified of new email messages. 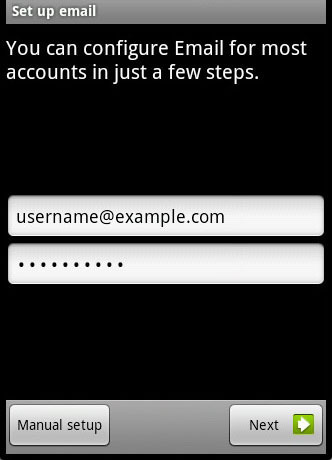 - If you would like you can name the email account, this can be helpful if you have multiple accounts on the one device. 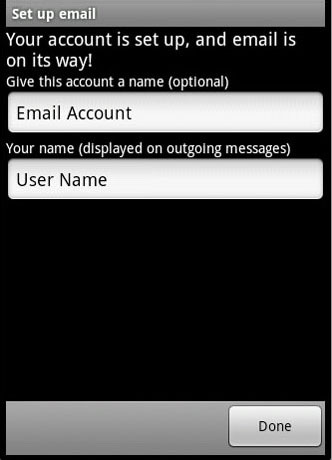 -Enter the name you would like to be shown on all outgoing emails that you send from the device.